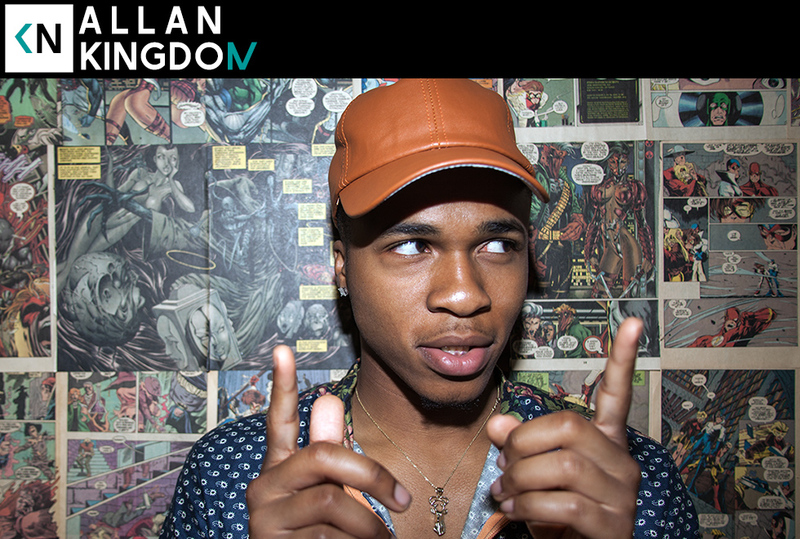 This week we had the pleasure of sitting with the talented Allan Kingdom. Allan’s has a unique rap voice, angelic falsetto, and a cold climate upbringing. This leads to music that can be dense, dark, contemplative and uplifting all at once. He’s a young man with an aged veteran’s demeanor. His career has already had a number of individual peaks (i.e The Stand4rd with Corbin neé Spooky Black, and a feature on Kanye’s “All Day” that lead to 3 Grammy noms) with surely many more to come. Hear us talk about his small familial unit, why he felt “African” in Canada and “Black” in America, and recording his first raps at a church while his mom watched over his shoulder. I just listened to your takedown of people who don’t like current rap music, and mostly agreed, but I feel like you are painting things with too broad of a brush. I’m a couple of years older than you, and I listen to and enjoy a lot of young and up-and-coming artists (Dem Atlas, Allan Kingdom, Lizzo, Chester Watson, and a lot more), and think I have a pretty open-minded attitude towards the art form. I don’t feel stuck with just the stuff that I listened to in the 90s, and I feel like my favourite artists (Saul Williams, Doomtree, Astronautalis, Atmosphere (and yes, I recognize as I type it that that’s a 50% white list, but let’s leave that aside for the moment because they are all dope as hell)) are pushing the form in new directions all the time. That said, I do think that a lot of other stuff, especially the stuff that’s being pushed hard on the radio, is kind of wack. I don’t get all mad about it, I just don’t listen to the radio and choose to support artists who manage to feed my mind or soul. I think my issue is that a lot of what I consider to be great hiphop was conscious, and a lot of what we hear today from the biggest name artists, isn’t. I don’t care about autotune that much – I’ll accept it or I won’t, but there has to be some content behind it. Anyway, keep up the great work. Love the guests you’ve been getting lately, and really enjoy the podcast. Thanks Jim, poignant thoughts. My main belief is that it’s no one’s ability or responsibility to deem what is real hip hop or not real hip hop. Art is subjective and what might be deemed conscious by one could be completely unrelateable to another and vice versa. Appreciate your listenership and response. dangit, did your paypal account just fail. I cannot promise any money through the internet ever. But I put some omoney on my card, watching youshit and I want to help. I am just starting to understand the internet.